This area is restricted to Tin City Hunting Club Members only. Please contact us if you have lost your password, or would like to obtain a password. 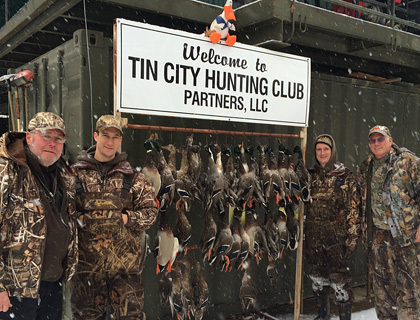 The Tin City Hunting Club adjoins the over 10,000 acres of the Sloughs Wildlife Management Area. With such a huge tract of land, managed for wildlife, the location right along its borders is simply a blessing. Tens of thousands of migrating waterfowl call this area home each fall on their flight south.